Stages 10 and 13 of the Trans-Siberian Extreme exceed 1000 kilometers each. Amit Samarth has successfully tackled both. A mere two stages remain now between him and finish line. 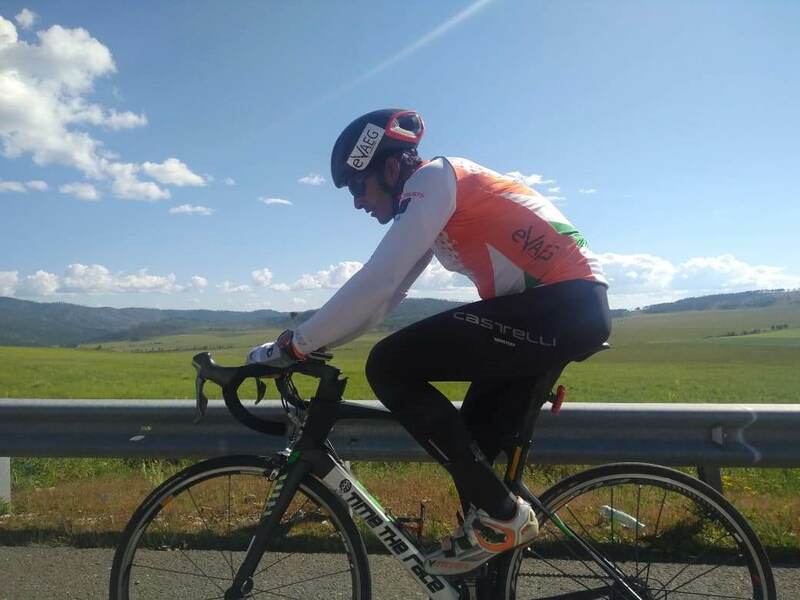 Nagpur-based cyclist Amit Samarth has completed the 1372 kilometer-long thirteenth stage of the 2018 Red Bull Trans–Siberian Extreme. He covered the distance in 59 hours, 52 minutes and 39 seconds at an average speed of 22.9 kilometers per hour. 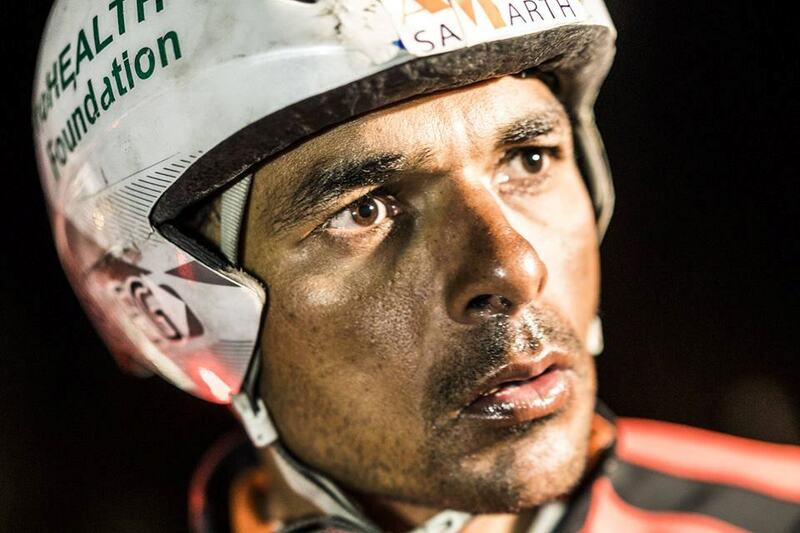 Amit completed the stage late Monday (August 13) evening, Indian time. The roughly 9100 kilometer-long race has 15 stages in all. The thirteenth stage is the longest of the lot. It was won by German ultra-cyclist Pierre Bischoff, who finished in 49 hours, 46 minutes and 35 seconds, a new stage record. He clocked an average speed of 27.6 kilometers per hour. Michael Knudsen of Denmark finished second; Marcelo Florentino Soares of Brazil, third. The tough stage – coming as it did after the participants had already cycled some 6000 kilometers – saw two cyclists DNF (Did Not Finish). Russian cyclist Vladimir Gusev was the first to DNF; he was followed by Patricio Doucet of Spain. The DNF puts them out of contention in the main race. They continue in a minor classification. A doctor by profession, Amit is the first cyclist from India participating in the event. If he finishes the race successfully, it would be the second major international endurance event after Race Across America (RAAM) in 2017 that he would be completing in his very first attempt. The Trans-Siberian Extreme is almost double the distance of RAAM, which is a crossing of the United States from the west coast to the east. Sometime in stage 10, the cyclists currently participating in the 2018 Tran-Siberian Extreme pedaled past RAAM’s full length. The race in Russia spans the distance from Moscow to Vladivostok. All six cyclists who commenced this year’s edition of the race from Moscow on July 24 continue to be there. No one has pulled out from the race yet although Vladimir Gusev of Russia retired twice (he had a DNF earlier in stage seven too) and Patricio Doucet once. Race rules allow a participant to leave the race twice and continue in a minor classification. From the ranks of the rest who did not have DNF in any stage, Pierre Bischoff of Germany, Michael Knudsen of Denmark and Marcelo Florentino Soares of Brazil have figured in the top three finishes of various stages. Vladimir was first to finish in several stages but with the DNFs he notched up, he is in a minor classification. Bischoff is ultra-cycling world champion of 2017 and a former winner at RAAM (2016). Altogether six cyclists are in the fray in the 2018 edition of Trans-Siberian Extreme including Vladimir and Patricio. Amit has hung in there; he has paced himself judiciously completing every stage and being there for the next. His stage finishes have been well within cut-off, Devnath Pillai, who is part of his support crew in Russia, informed sometime after stage 13 got underway. The Trans-Siberian Extreme packs a punch in its second half. By the end of stage nine (when the race was last reported on this blog) the longest single stage had been stage three entailing 693 kilometers of cycling. With almost 4000 kilometers pedaled, the cyclists are close to touching the full distance of RAAM when they finish stage nine. That is when they are greeted with stage 10. The tenth stage from Krasnoyarsk to Irkutsk requires cycling a distance of 1094.59 kilometers. Amit covered this in 45 hours, 32 minutes, 50 seconds. The cyclists had a rest day following stage 10. It is much needed break and recovery from life on saddle because the remaining distance to Vladivostok – approximately 4000 kilometers – is to be covered in just five stages. As mentioned earlier, stage 13 therein spans 1372 kilometers. With stage 13 done, only two stages remain between Amit and finish line. The race ends in Vladivostok on August 17.